A rangeland ride with a spectacular descent, along with tucked-away canyons and a ghost town. 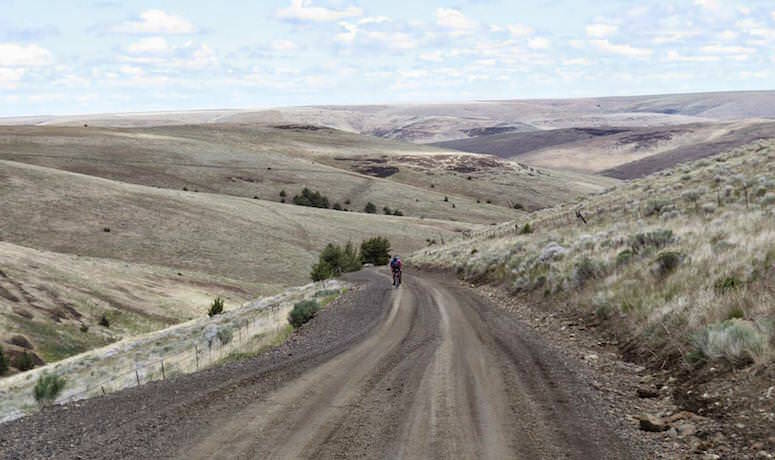 It’s tough in these wide-open parts of the state to put together an interesting challenging ride route that works as a loop – but here’s proof it can be done, with well more than half of it on gravel roads and all of it worth riding. Starting out from the TREO Ranch, feast on 18 miles of gravel, including a ridge called “Hale” on maps, but which locals know as “Hail Ridge” – the dividing line where wheat crops to the north can grow without threat of decimation by hail, and the south side, which is left to cattle grazing. You’ll also see an abandoned homestead and school house, remnants of hard times in the 1940s, when a disappearing water table left the land dried up as farmers gave up and looked to make a living elsewhere. You’re looking at a stark piece of history, right in front of you. After a short climb up to Highway 206, get ready for a perma-grin. 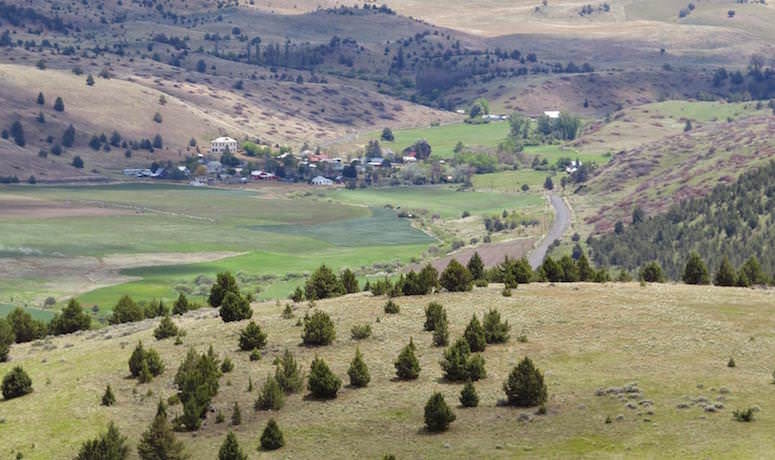 The paved descent down Sixmile Canyon, a drop of 1,000 feet with four hairpin turns within two miles, is generally regarded as one of the truly choice stretches of riding in Oregon. You’re hugging a canyon side-wall, with a gaping drop below, as you attempt to keenly watch the road and take in the natural splendor at the same time. Whoever built this road knew what they were doing; the turns are cambered perfectly, letting you carve like an Olympic skier. Sure, there’s not a guardrail, but what’s life worth if you don’t spend a little time on the edge? As the adrenaline slowly seeps back into wherever it goes, next you get an 18-mile climb to Black Butte, where you can look down into the sweetly named Darling Canyon. A quick descent is followed by a rise up onto Pine Ridge for six miles of wide-open views. 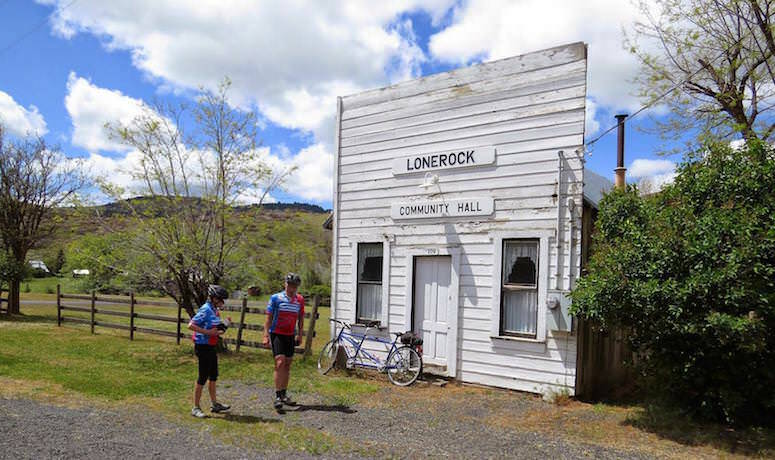 Then it’s down into the ghost town of Lone Rock, founded in 1881. There are actually around 100 people living here, but there are no retail establishments – although there is a picturesque church (good) a one-room jail (bad) and a toilet you can use (good). You’ll have no trouble sussing out the reason for the town’s name, because it’s lodged behind the white-clapboard Methodist church: a 35-foot tall rock. The really odd thing is that geologists can’t explain how it got here; it didn’t take any of the usual routes (glacier, volcano, etc.). Enjoy Buttermilk Canyon Road along Robinette Creek – you have another stretch of 18 miles of gravel. After a four-mile climb, plunge down to Rock Creek on the canyon floor in a steep descent that feels like you’re falling into a box canyon on this narrow road with sheer rock walls. At the bottom, the valley opens up on several isolated ranches. 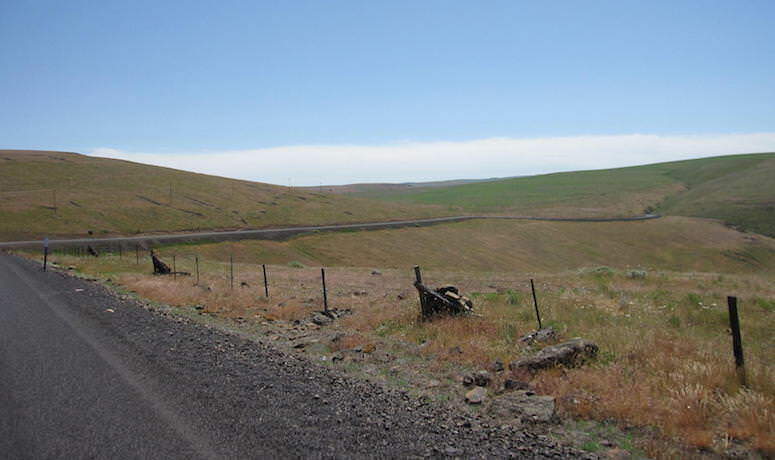 Just before you head back up, make sure to check out the caves in the basalt-rock wall on your left, at road level; incongruously, they’re used to store large farm equipment. After processing that, look straight up 20 to 30 feet to find the unnatural rock wall – this is the remnant of an abandoned county road, and it’s topped by about a thousand swift nests. If you happen to be here at the right moment, the diminutive birds can blot out the sky as they flit en masse. From the valley floor, work up three miles to Hail Ridge, with its views of Harshman Canyon and Buttermilk Canyon Rd. Now is a good time to try to wrap your mind around the scale of what you’ve seen and pedaled: hidden canyons, lava formations and working ranches, along with the scents of sagebrush and junipers – all on a 62-mile loop. Explore the old west by bicycle. 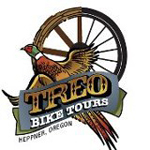 TREO offers group bike tours with full support. During your bike tour, experience hearty meals and comfortable lodging at our Western guest ranch near the Hardman Ghost Town in Eastern Oregon. TREO Ranch is a unique destination for cycling clubs, team-building, and executive and corporate retreats, as well as family and group vacations. 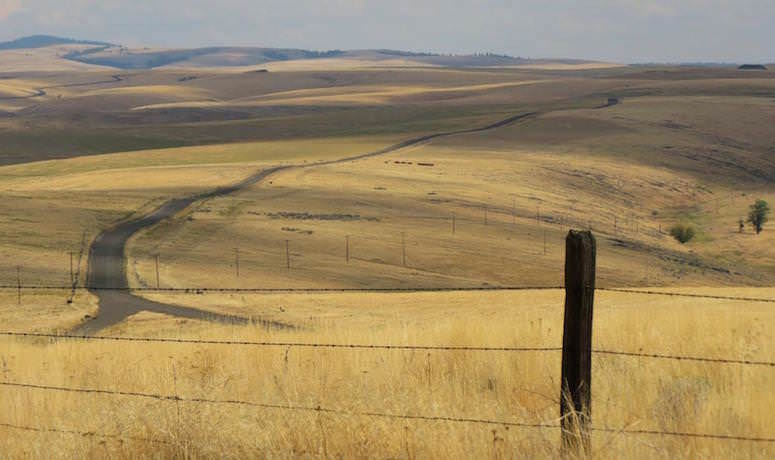 Let us haul your gear and food while you ride, relax and enjoy the diverse scenery of Eastern Oregon: rolling hills, open range, mature forests, pristine rivers and more.